1. 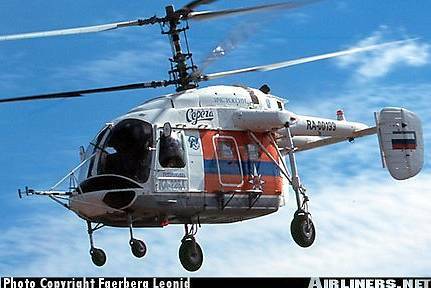 Amodel's two much-delayed Ka-226 kits (72074 and 72129) have now appeared at the same time, both seem to be aircraft operated by the Russian Emergency Ministry, but they have slightly different markings that could possibly represent sponsorship? 2. Anigrand Craftswork have released their 1:72 resin Sikorsky XV-2 (XH-36) Single blade-rotor VTOL concept, AA-2037. 3. 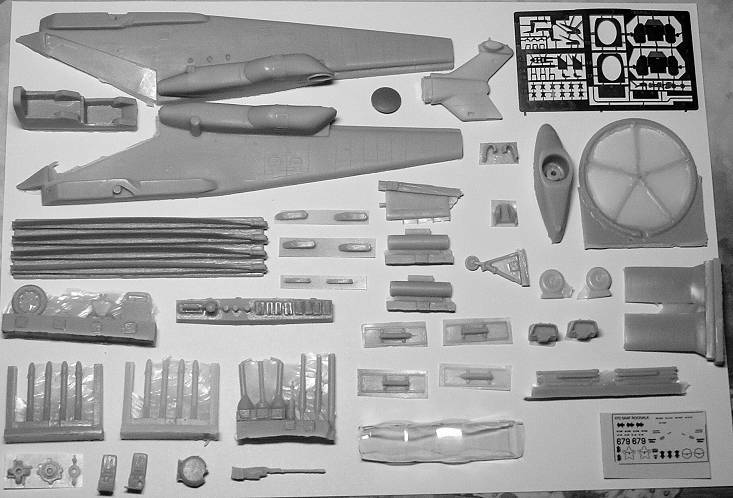 Italeri's new version of their 1:72 Merlin kit, #1248, was widely believed to be coming with parts and decals to make one of the Italian Navy versions; a justifiable view since it was based on information printed in their 2005 catalogue. When the kit actually appeared earlier this month, the box contained just the same parts as the Revell HM.1 re-box #4410 (HKN #170), and markings for a solitary Royal Navy Merlin, now designated the HMA.1. 4. 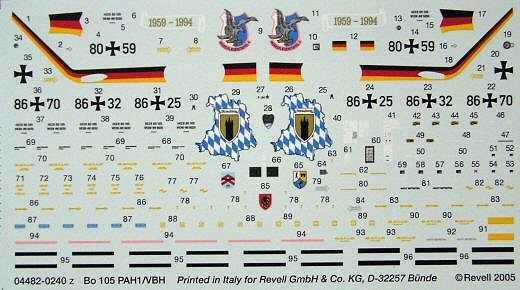 The decal sheet in Revell's recent 1:48 Bo-105 'PAH-1/VBH' is actually a bit more interesting than we thought. In addition to a variety of green and black camouflaged machines, it has markings for 80+59 of HFS 4, which was painted up with colourful stripes and other markings, as well as multi-coloured missile pods, for something called “Fly-Out 1994”, probably the squadron's disbandment. 5. The 1:72 resin Rooivalk kit available from South Africa has re-surfaced in a somewhat modified form. I understand that some of the parts were re-worked to make casting easier. Compare this image with the one in HKN #189. To obtain this kit direct from the makers, contact Chris Baxter. 6. Next in the 1:48 H-46 / KV-107 series from Academy/MRC will be a US Navy CH-46D, including some patriotic markings seen on a bird from HC-11 on USS Camden. 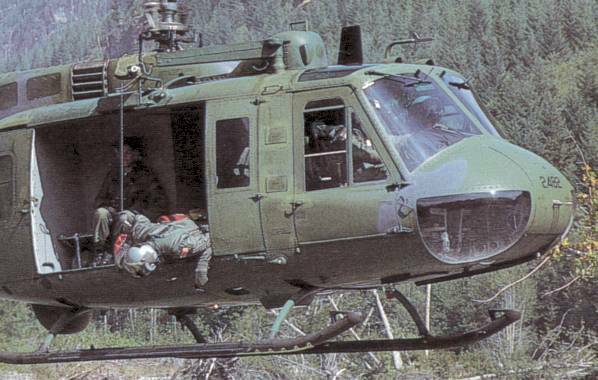 This will be followed in 2006 by either the Canadian CH-113 or a Vietnam-era CH-46A/D. 7. The masters for the 1:72 Sycamore being produced by Czech Master Resin are now complete. 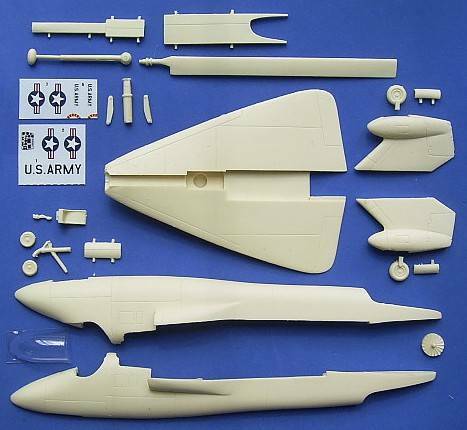 They have decided to issue the kit in two variants, Type 171 and HC.14, having chosen to master two separate fuselages rather than trying to include optional parts to make either in the one box. The decal sheets and instructions are now in preparation. 8. There doesn't seem to have been much to excite us at the recent Shizuoka show in Japan, the only real kit announcement being another variant of the 1:48 Sea King from Hasegawa. This one will be a VIP marked (COMSEVENTHFLT) UH-3H from HSL-51 'Warlords', based at NAS Atsugi, Japan. This is probably BuNo. 152704 (c/n 61367), callsign 'Blackbeard 01', which was retired at the end of 2004 and is due to re-appear on top of a pylon at the east gate of the Atsugi base any time soon. 9. Also at Shizuoka, F-Toys were showing what appears to be another series of their 'Heliborne Collection' of c. 1:144 trading toys. 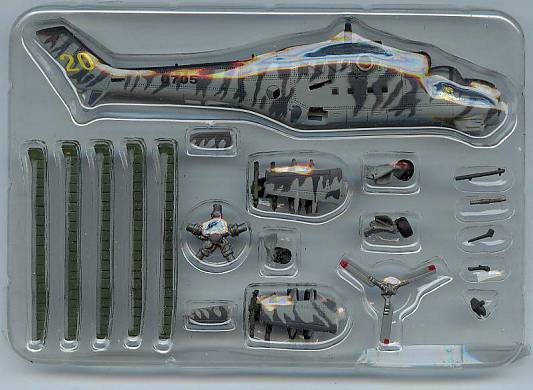 The first collection featured four kinds of nearly-assembled and pre-painted helicopter, each in two flavours: AH-64A in US or Greek Army markings; Mi-24 Russian or Czech Tiger Meet; UH-1B US Army green or camo; and SH-3 Japanese or US Navy. These trading toys seem to be popular in Japan but virtually unknown elsewhere. The packages are sealed and the contents are not visible, so you don't know what you've got until you open it. Some items in the series are produced in small numbers to encourage repeat purchases and give rarity value. 10. The Whirlybird USAF HH-1H set WBA72038 has the winch mechanism that is mounted on the roof with a separate arm, plus a radome or antenna fairing for beneath the rear fuselage. A decal set for these aircraft is planned. D004 has German SAR, Belgian SAR, and Canadian Navy. 13. The Vingtor Decals sheet covering Norwegian UH-1B and 412SP on UN deployment, #72006 (HKN #199) that was previously available only in Norway is now available from Hannants. 14. Fireball Modelworks 'Luftrettung' decals are now available. 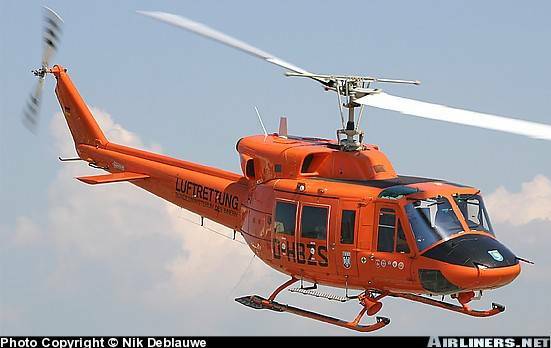 These have markings for one of two orange German Air Rescue Service Bell 212s, D-HBZS and D-HBZT, and are available in 1:72, 1:48, or 1:35. 15. 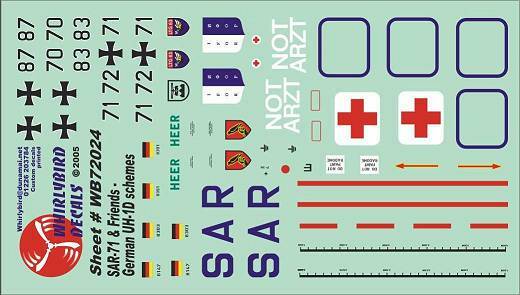 Whirlybird are also working on a 1:72 decal sheet WB72024 to complement their Heeresflieger UH-1D detail set, with markings for several aircraft, some in SAR colours. 16. A set of 1:48 aftermarket decals for the splinter-scheme Swedish HKP4 is in the works from a source in Japan, though probably not imminent. 18. 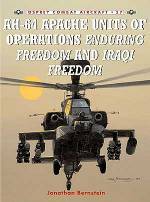 Osprey have published AH-64 Apache Units of Operations Enduring Freedom & Iraqi Freedom”, Combat Aircraft series #57, by Jonathan Bernstein, illustrated by Jim Laurier, ISBN 1841768480. 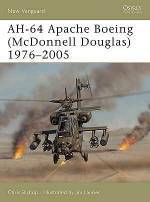 In June, from the same publisher, we will also be getting Apache AH-64 Boeing (McDonnell Douglas) 1976-2005, New Vanguard series #111, by Chris Bishop, again illustrated by Jim Laurier, ISBN 1841768162 . Thanks to Shuuichi Manei, Petr Buchar, Roger Evans, Anders Nowotny, and John Cameron.